The Traveler's Guide to Downtown Palm Springs: Experience Top Places to Shop, Eat & More! Visiting Downtown Palm Springs? This newly redesigned downtown plaza has something for everyone to enjoy. From fine foods and casual dining to upscale shopping and small mom-and-pop shops, it’s all available here! For details on what to do, see and taste in Downtown Palm Springs, check out our guide and get ready to experience why the region has become a hotspot for travelers. One-of-a-kind stores and boutiques are what you can expect to find in Downtown Palm Springs. 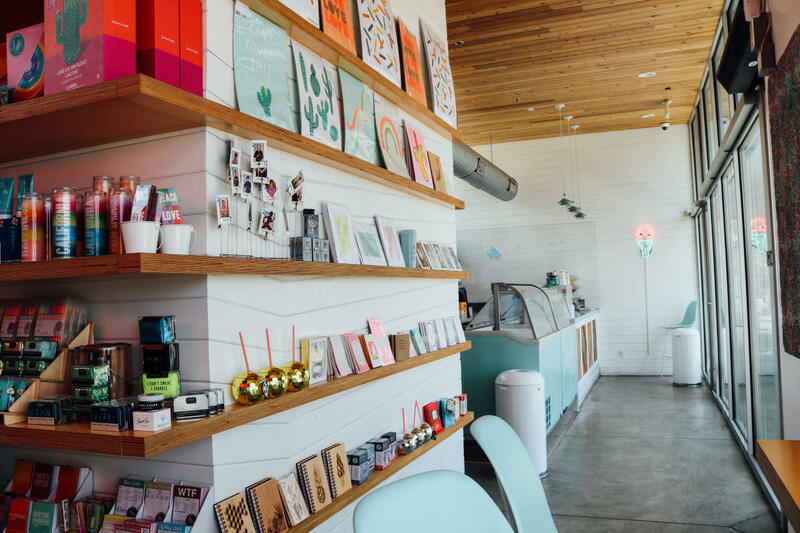 The retail region is ideal for shopping for stylish gifts, your next favorite fashion statement and unique Palm Springs mementos to bring home. Notable stores in the area include Angeli Fashion, where shoppers can browse through a posh collection of Italian-made shoes and apparel from Tuscany and Milan, as well as the very fashionable Chico’s boutique, which sells lovely women’s clothing, jewelry and accessories. Also located in Downtown Palm Springs is the ever-popular Johnny Was, which provides chic wardrobe selections and vintage-inspired looks to clientele. Shoppers can also head on over to Francesca&apos;s to find fabulous, flirty styles at very affordable prices. Then afterward, you can check out Kiehl’s for top skin care items that are guaranteed to give you a healthier glow. 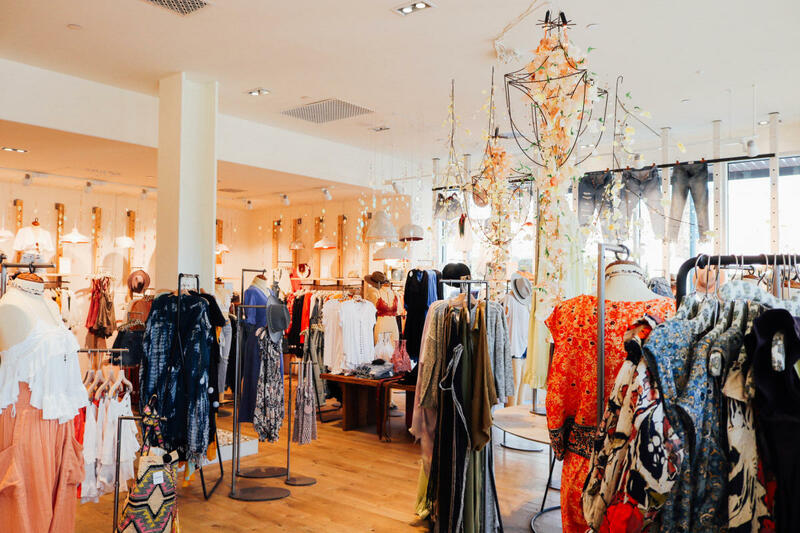 If you’re more into the bohemian look, step inside Free People to discover cool, modern fashions that are perfect for your Greater Palm Springs getaway! The store is packed with flowing dresses made for lounging and relaxing, stylish outfits for Coachella and, of course, must-have items for your time in the oasis. Those interested in purchasing modern home décor should visit Thick As Thieves, the area’s beloved brick and mortar store that offers visitors a beautiful supply of handmade goods, gifts, clothing, oddities and unique finds. Also, nearby is the trendy West Elm Palm Springs, which showcases contemporary designs in bedding, furniture, room decor and dinnerware. Be sure to stop by the West Elm if you’re in the mood for major design and color inspiration as this place truly has it all! End your shopping experience in Downtown Palm Springs by bringing home a memorable keepsake or two at Find Your Feet Sock and Sandal Shop where you can find great pairs of standout socks for yourself and your whole crew. 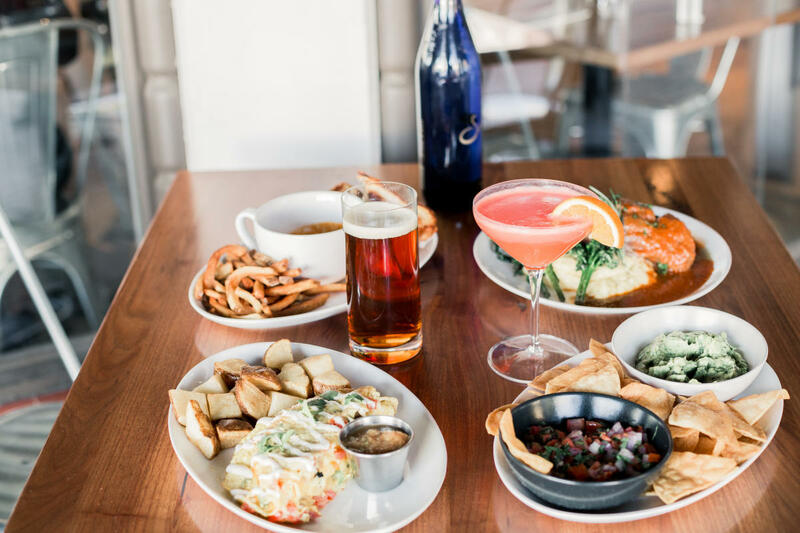 On top of having two streets lined with fantastic restaurant selections in the area, Downtown Palm Springs also boasts an impressive number of locally-owned and operated eateries. So, if you’re looking for where to eat in the plaza, we’ve got you covered there too! Visit the area to get a taste of what’s cooking at Grand Central Palm Springs, where guests can munch on traditional classics and appetizing health-conscious meals, right in the heart of downtown. Another excellent nearby option is FARM, the area’s very charming, French-inspired eatery. Aside from the restaurant’s extraordinary aesthetic appeal and rustic beauty, FARM features an authentic menu that’s comprised of the freshest ingredients available in the region. Lovers of Mexican cuisine can savor enticing plates at Las Casuelas Original, while those who enjoy more low-key dining experiences can head into Revel Public House or chow down on reinvented comfort foods at Wilma & Frieda Palm Springs. Pizza and pasta enthusiasts also have plenty of delicious options to choose from when dining at Blaze Pizza, Brickworks Bistro or Il Corso. In addition to these options, downtown visitors can also stop by the stylish 4 Saints at The Kimpton Rowan Palm Springs Hotel. Here, patrons can feast on seasonal, Mediterranean dishes and sip on stellar drink choices. Craving something sweet? We recommend you try the many rich and creamy options at Brandini Toffee, which specializes in all things chocolate and handcrafted toffee desserts. 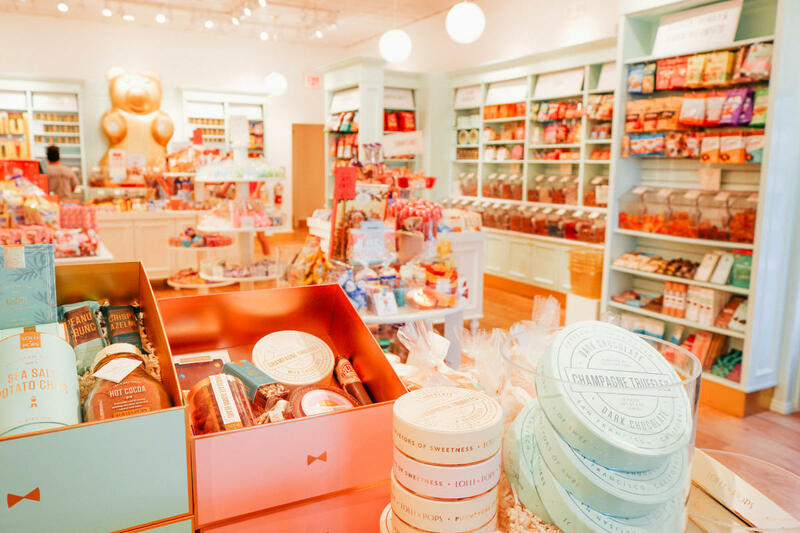 Also, be sure to make your way into Lolli and Pops–the area’s cutest and newest candy shop! Aside from all the shopping and irresistible dining that can be done in the region, Downtown Palm Springs is also known for its exclusive experiences, events and opportunities! 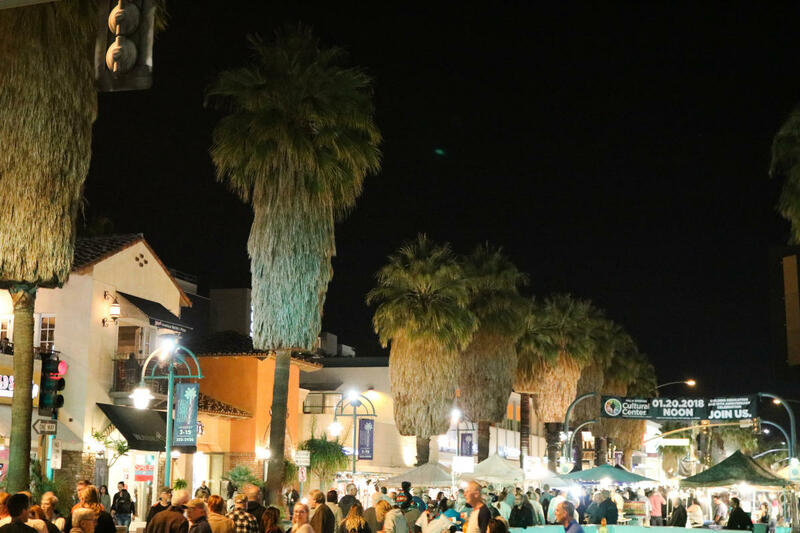 If you’re in town on a Thursday evening, be sure to stop by the Palm Springs VillageFest, otherwise known as the area’s vibrant and lively weekly street fair! VillageFest brings visitors a variety of tasty vendor foods, live entertainment, unique shopping booths, creative artworks and handmade crafts. Another must-visit attraction in the area is the Palm Springs Art Museum, due to its everchanging interesting exhibitions and programs. Drop in during Thursday evening’s VillageFest in Downtown Palm Springs for free admission and make the most out of your night out on the town. Once the playground to a plethora of movie stars, artists, performers and political elites, the Palm Springs area is recognized today as a location of old Hollywood glitz and glamour. Walk the streets of Downtown Palm Springs (along Palm Canyon Drive, Museum Way and Tahquitz Canyon Way) to get a glimpse of the Palm Springs Walk of Stars, which honors over 400 accomplished and cherished celebrities. Pop into BIKE Palm Springs Rentals to rent a bike for a few hours or the whole day, if you’d like, to explore the downtown area. There’s no better way to get a glimpse of the destination than by peddling your way through the palm tree-filled region, as you feel the wind through your hair and take in the sights! One of the best parts of the downtown area is that there is also an uptown area to explore as well! Visitors can keep driving up N. Palm Canyon Dr. to experience Uptown Palm Springs, which is just as fabulous and fun as its counterpart. Visit favorable locales like Ice Cream & Shoppe, Draughtsman, Wexler’s Deli, Cheeky’s, Bootlegger Tiki, Ernest Coffee, Trina Turk and The Shops at 1345, plus much more! Peak season in the oasis is considered to be between January through April. If organizing a trip during this time, you should plan to visit Downtown Palm Springs during weekdays to avoid heavy traffic and crowded streets. There is plenty of free parking to choose from, however, times of day may affect parking availability. Visiting earlier in the day is always a good idea as some shops close early during the week. It is also recommended to make reservations for dinner as the region can get a little busy come evening and nightfall. You’ll also want to wear comfortable shoes as your meander through downtown, as you’ll be doing lots of walking as you explore everything the area has to offer! Want to explore beyond Downtown Palm Springs? See our Guide Through El Paseo Shopping District and enjoy even more of the oasis!